It is a great theme that is updated frequently. It currently sells at $47, and includes 6 months of support and future updates. 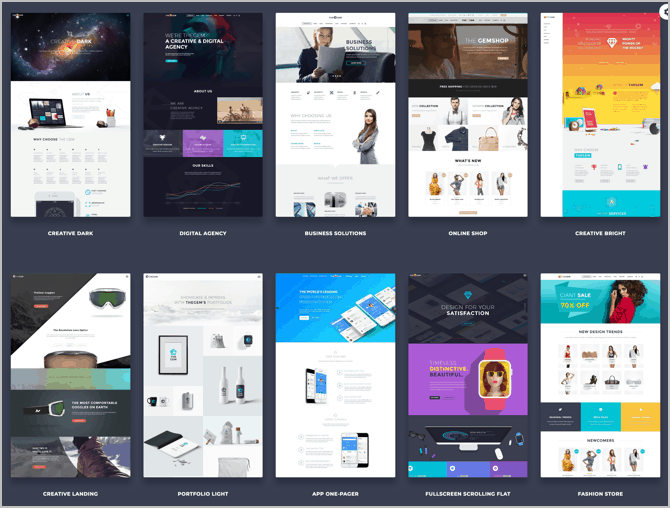 Choose this theme if you are looking for a full-pledge eCommerce theme. 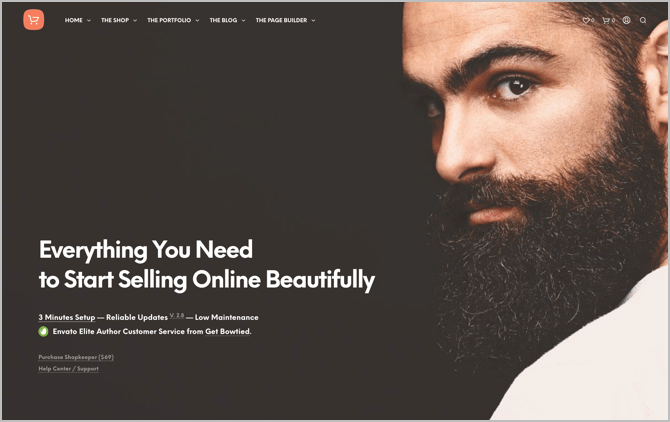 ShopKeeper is an e-commerce theme created for WooCommerce that is available on the Theme Forest marketplace and has an average rating of 4.63 stars and a staggering 25k+ sales. 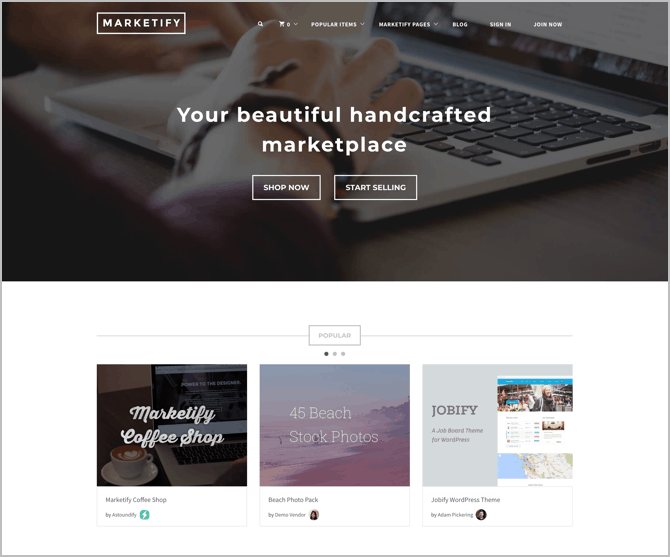 ShopKeeper is a great theme that helps you create your online store beautifully and hassle-free. It also doesn’t take time to set up with the amount of customization options available. Not to mention that it is created by an Envato power elite author. Easy toggle on and off the WordPress catalog mode, when you can just make the site as a catalog. Turn on to start selling. A beautiful blog is already available. You can also use it as a portfolio. Customize the shop as you want by adjusting number of products per row or per page with many other features. It is a flexible theme that can help you have a full-fledged online store to sell your e-commerce products. 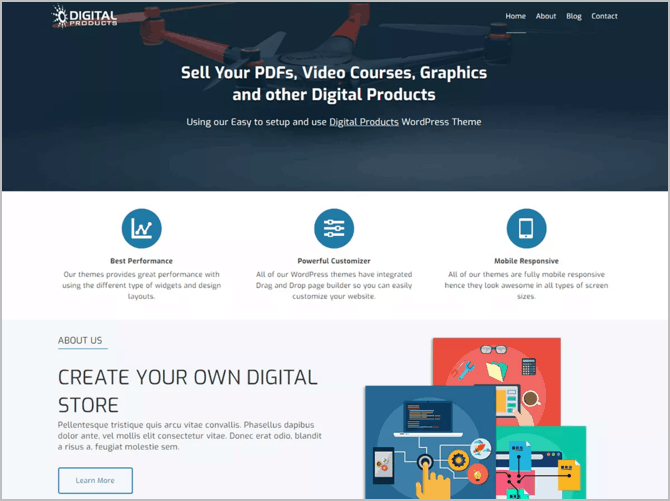 You can also make it to sell digital products, if you want to. It costs $69, but the amount of happy users justify why it costs that much. 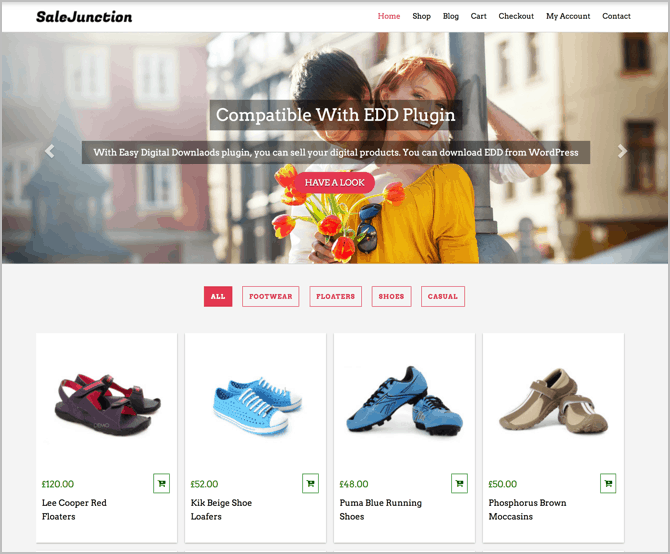 Choose this theme if you are looking for a WooCommerce theme. 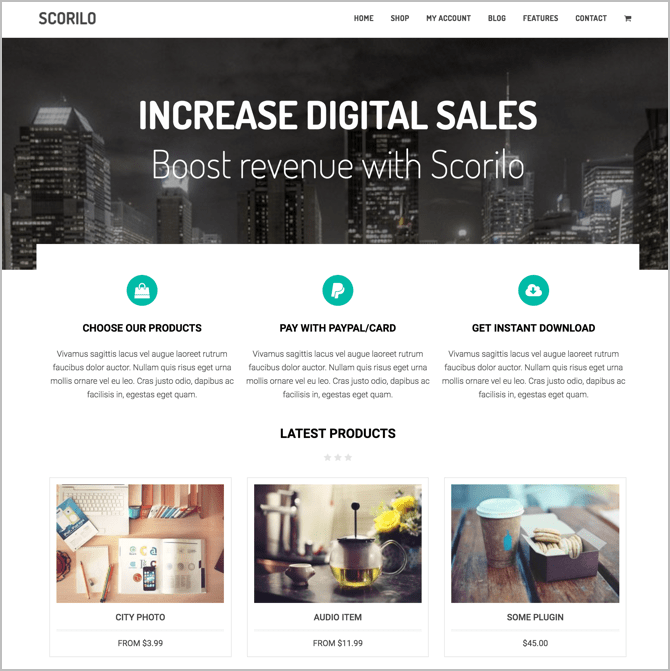 It is a classic e-commerce theme with a modern touch. It is beautifully designed. The WP Bakery’s page builder plugin to customize your page with their drag and drop feature. It sells for $59 and it offers huge value. 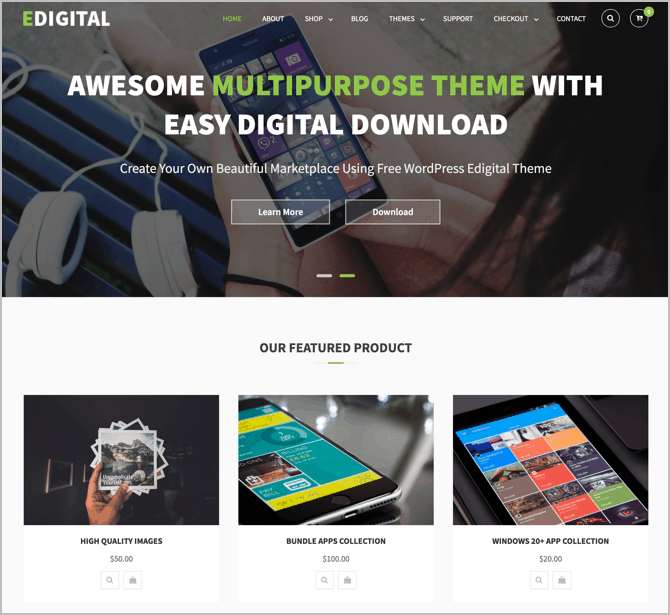 Choose this theme if you are looking for a multi-purpose theme. TheGem is a multi-purpose high quality theme that is available on the Theme Forest marketplace. With over 28K sales (and growing each day) and a 4.8 star rating after all these sales, it means that it is one to definitely check out. 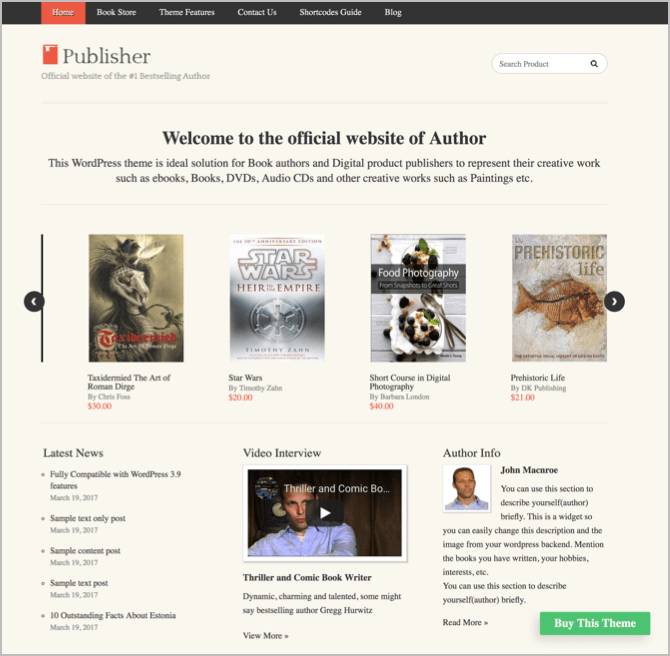 It is a multi-purpose theme with over 70 demos for any purpose blog. 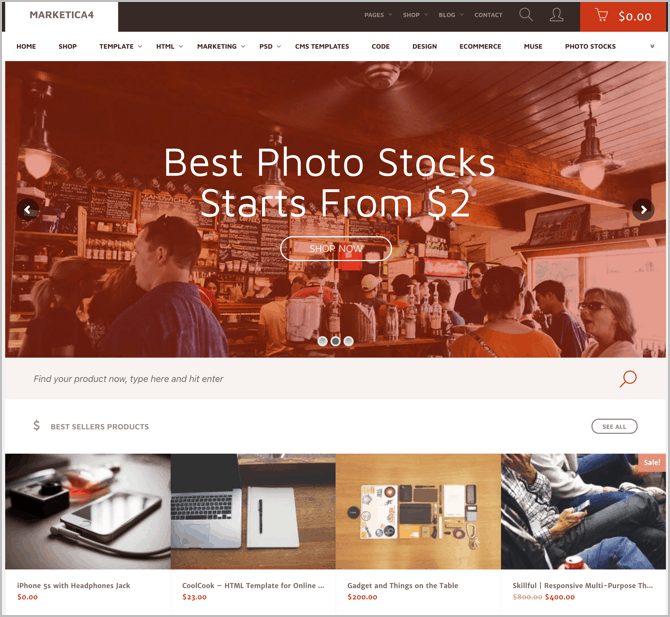 You could use it for creatives & agencies, business and finance, photography and portfolios, blogs and landing pages, and of course online shops with many other options. 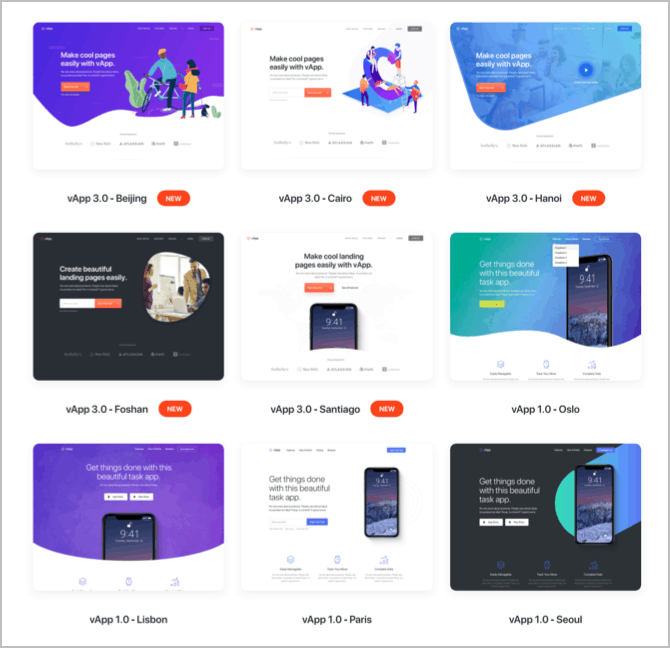 It already integrates with WooCommerce plugin, and you get access to the visual composer and the easy drag and drop feature, the slider revolution and layer slider 5 to create beautiful premium sliders. It is also compatible with Contact Form 7, Yoast, MailChimp and more plugins. And high quality support in 3 languages, English, German and Russian. They have been doing it for 5 years already. Not to mention the ability to easily import any of the 70+ themes already available with just one click. And there’s so much more. We are just scratching the surface here. 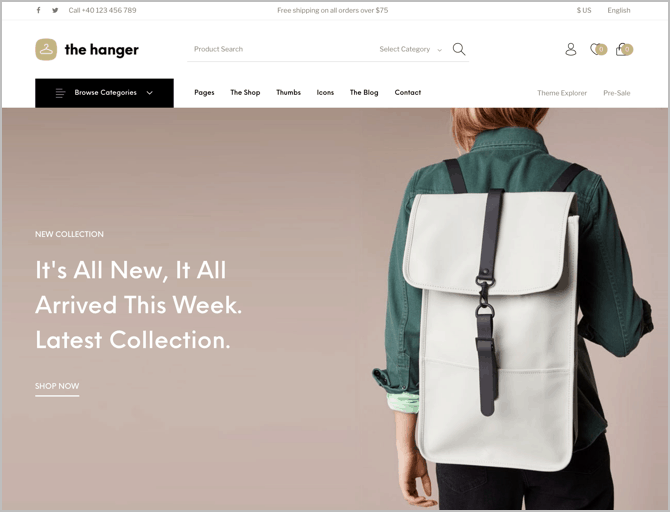 This theme is perfect if you plan to use it for different purposes, or you don’t want to create a full-fledged store, which you could do, but it won’t be other sites. If you want a simple one and have a high-quality theme, then check it out. You can get it for $59, with access to support for 6 months and future updates. 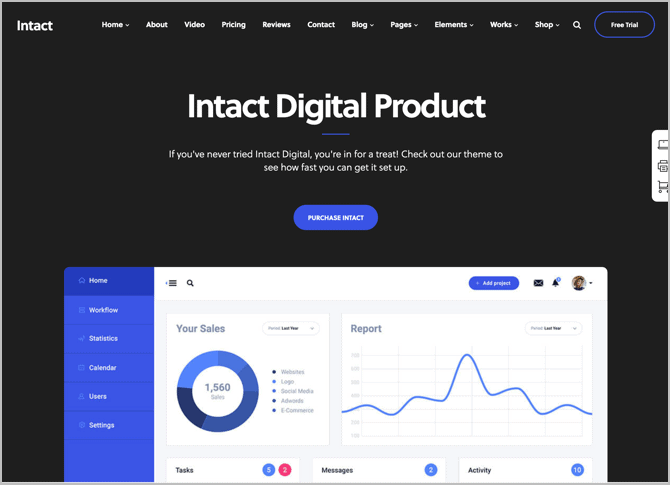 Intact is another multi-purpose theme that is available on the Theme Forest marketplace. It already has a rating of 4.62 stars and over 1.2K sales. It comes with 12 built-in demos for different business models. One of these is a shop option. And you can easily 1-click install any of these demos to your site. 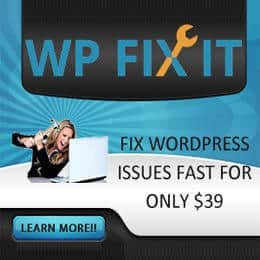 You get access to the WPBakery page builder, the Revolution slider, Templatera for VC, and Icons Mind, saving you a whopping $141. It is a great theme to check out. It’s less flexible than TheGem theme, but it is powerful and will suit different needs. 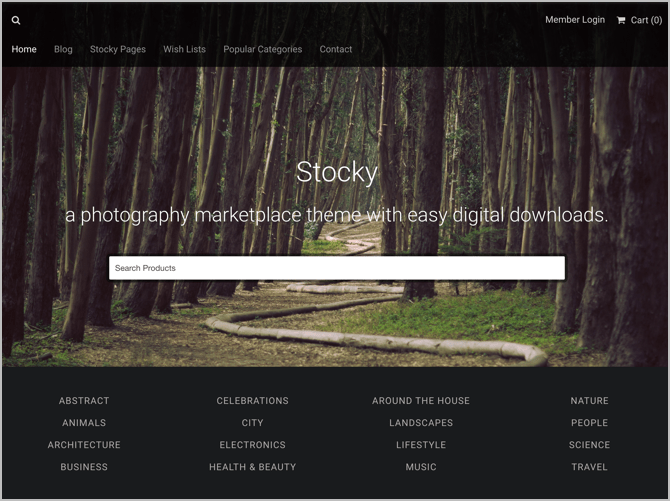 You can get it for $49 on the Theme Forest marketplace. 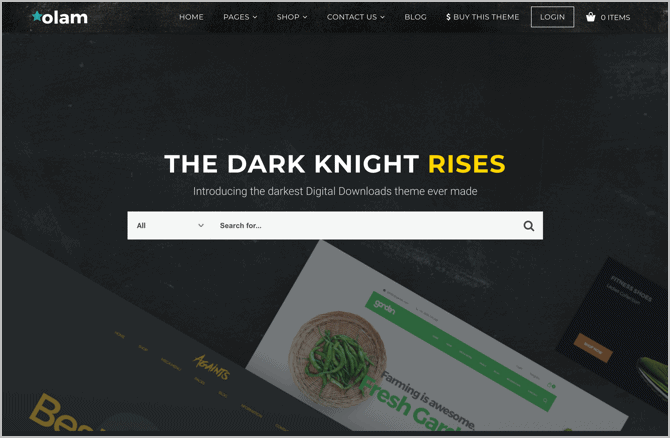 Choose this theme if you are looking for a theme that doesn’t require Easy Digital Downloads or WooCommerce. 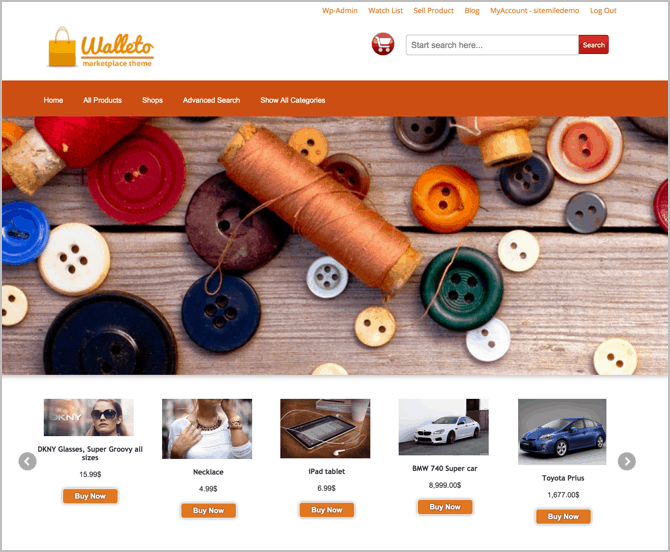 Walleto is a WP theme that is created by the team at Site Smile. It is created to help you easily build your e-commerce store and even help you create a marketplace. It also gives you the options to sell your products and services on your website. It is a simple and clean theme, but don’t mistakenly think that it is of low quality. 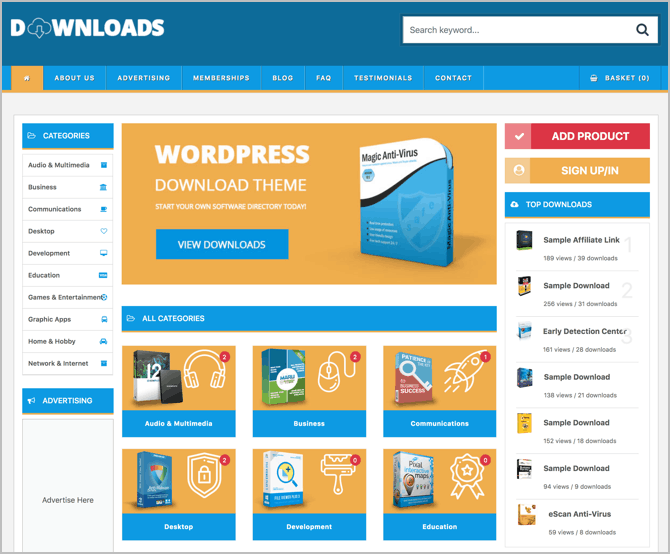 It is a full-fledged theme that doesn’t need to integrate with Easy Digital Downloads or WooCommerce like most of the themes already available. It is a great theme to check. Having your digital downloads store doesn’t need to be a tricky process anymore. Don’t worry about the tech and just focus on providing high quality products to your customers. 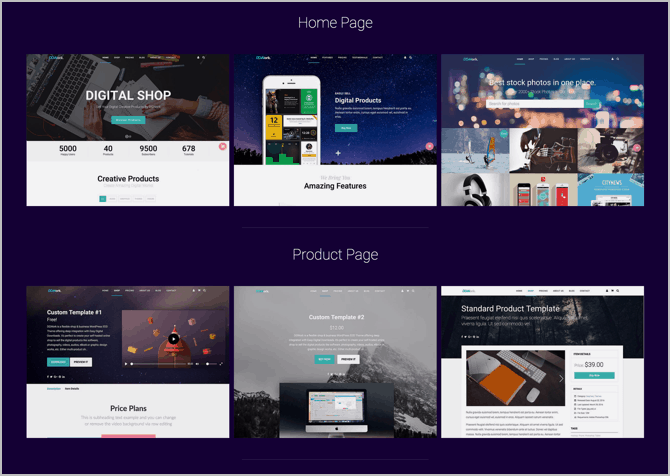 And you now have the top 18 themes to use to help you do different things on your store. Check the ones that best suit you.